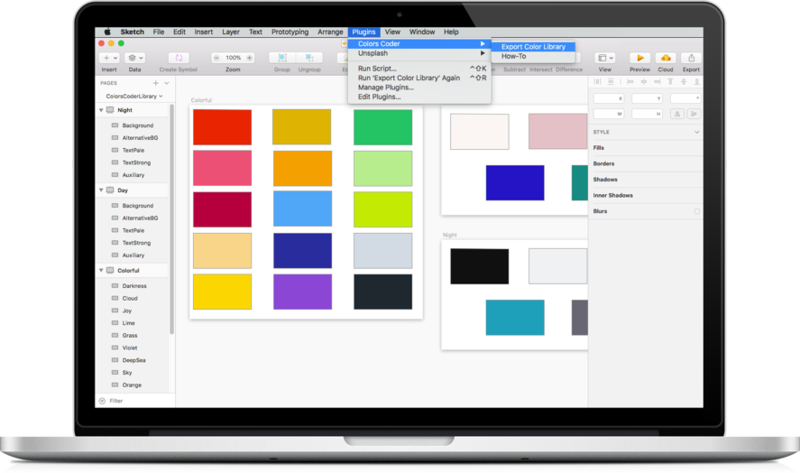 Manage color collections & generate code for any Swift based project. A tool that all developers who write code in Swift will love. And designers! 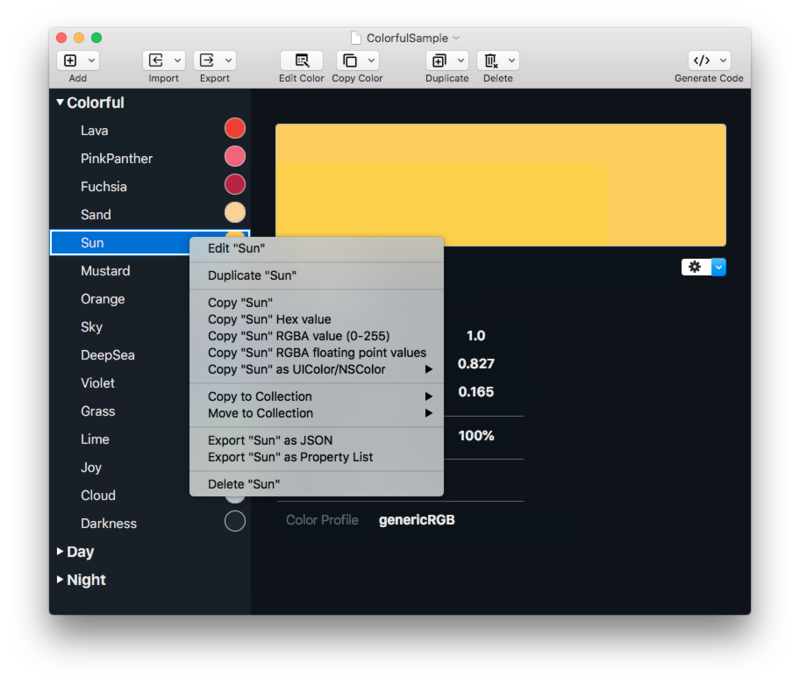 Colors Coder is a macOS app that lets developers and designers create and manage color libraries for their projects, and then generate Swift code ready to be used within a couple of clicks only. It takes away all the trouble to implement custom color managers, support multiple themes and generally handle colors in apps - all these are taken care of. Moreover, a Sketch plugin is provided in order to export entire color libraries from Sketch app, import them in Colors Coder and generate code almost instantly out of them. Colors are organized in collections. Keep things tidy and in order. 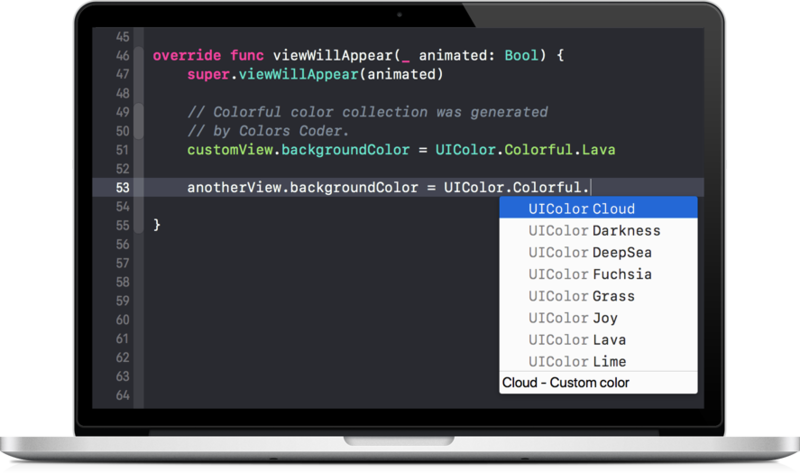 Let Colors Coder be your solution to support multiple color themes in your apps. Create them manually, import from Sketch or import already exported collections. There are plenty ways to do so. Provide RGBA or hex values. Use the familiar macOS Colors Panel to choose. Import along with collections from Sketch. Import previously exported colors. You choose. Each approach is ultra fast and user friendly. Are you working on iOS, watchOS or tvOS projects? It doesn't really matter, as the generated code will work perfectly everywhere. 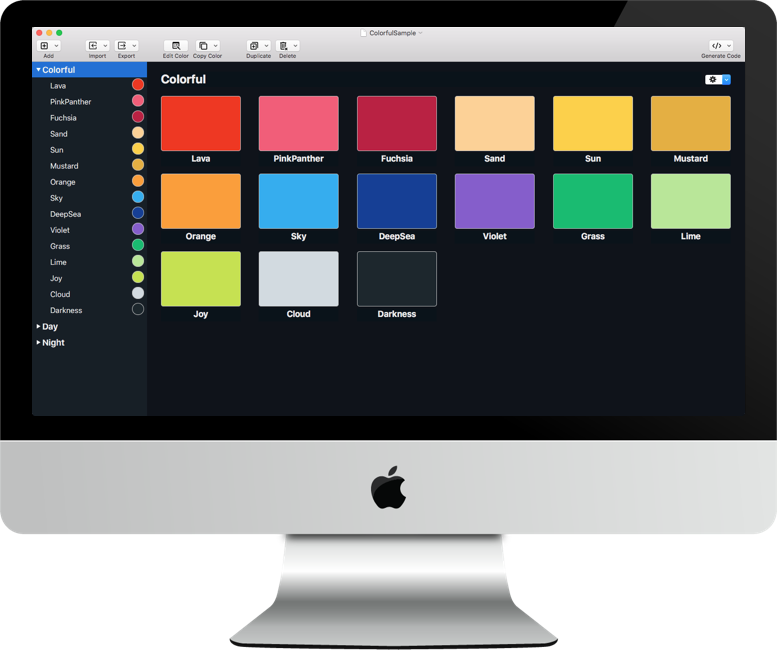 Once you start using it, you will never want again to create custom color managers. Access the exported collections and colors like any other property of the UIColor or NSColor class. No new APIs, no fancy or complicated ways to use your color libraries. 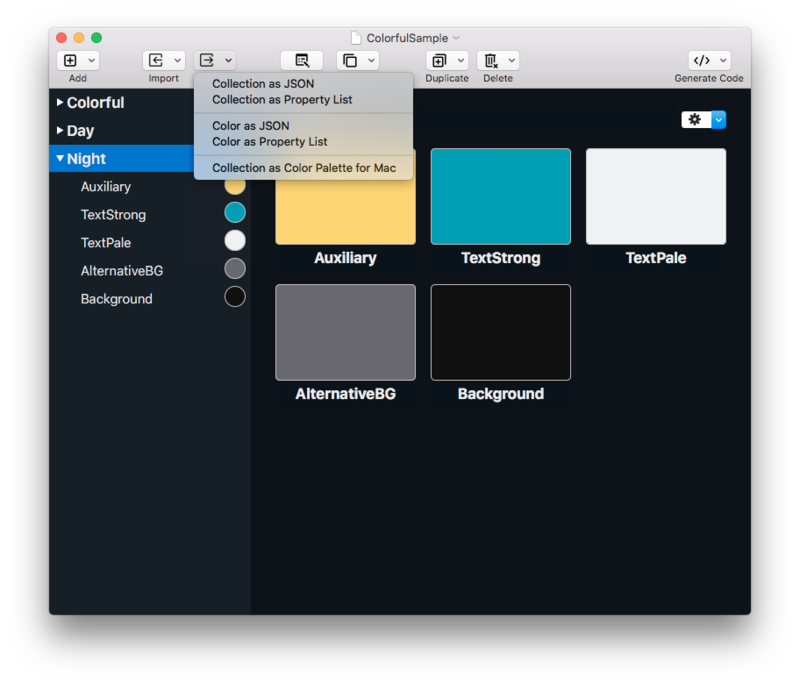 Need to support different color themes in your apps, such as day and night modes? With Colors Coder exported code that task has become as easy as just calling a simple method. Multiple ways to create colors. Add or edit colors in a window that has it all. 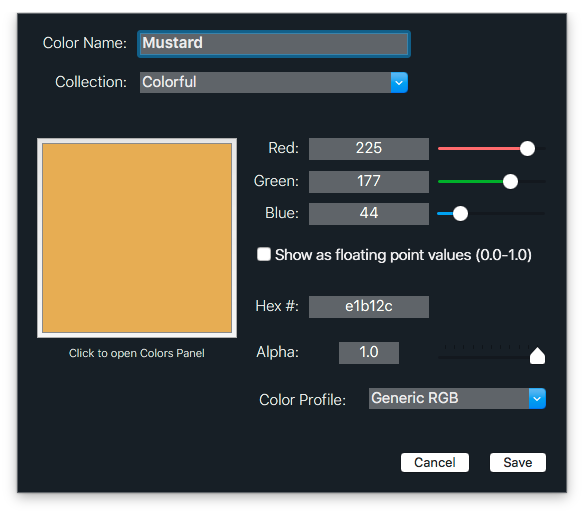 Hex, RGBA, color sliders, even the familiar macOS Colors panel. Color editing is most probably suitable for all different kinds of habits. Type or paste RGB colors either as 0-255 or floating point (0.0 - 1.0) values, or just provide a Hexadecimal value and see the color sample being updated in real time. Alternitavely, open the Colors panel to spot a color from the existing color palettes on your Mac. Designers can now hand off color libraries to developers at that ease and speed that has never existed before! 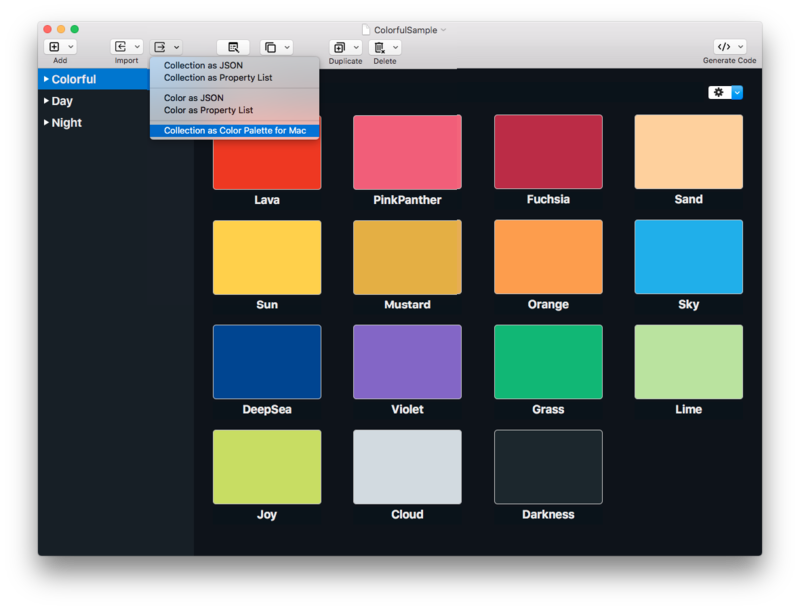 Sketch app users are going to feel a great deal of pleasure and comfort with the Colors Coder plugin. All it takes to transit from design to code is to export a color library from Sketch, import it to Colors Coder app and it's all set to generate code. Colors Coder UI is simple but effective. All the information you need is either already shown or just a click away. Color collections are always visible to the left pane. Expand or collapse them, select a collection to see the contained colors, or select a color to see all the info you need. In addition, available actions and options are instantly accessible thanks to the several different ways provided to get to them: Context menus, popups, main menu options or keyboard shortcuts. Ah yes, toolbar buttons too! They are all over the place to speed up your work. Export. Import. Different formats to choose from. Reuse, share, or just back up collections and colors. What do you prefer? JSON or Property List? Descriptions for both color collections and colors can be exported in order to be saved to files, shared, or simply copied to memory. And of course, whatever gets exported can also be imported: Use in-app menus or keyboard shortcuts, drag-and-drop exported files to a Colors Coder document, or just paste already copied data. Choose the most convenient among several options. Wouldn't be great to have your colors in other applications too? Or just reuse them in different Colors Coder collections or even documents? OK, we've got you covered! Use keyboard shortcuts or menus to copy and move colors to different collections, or copy color values out of Colors Coder as Hex and RGBA (both as floating point and as 0-255 values), even as UIColor or NSColor Swift code. You wish you could access your great color collections everywhere. Well, you can. 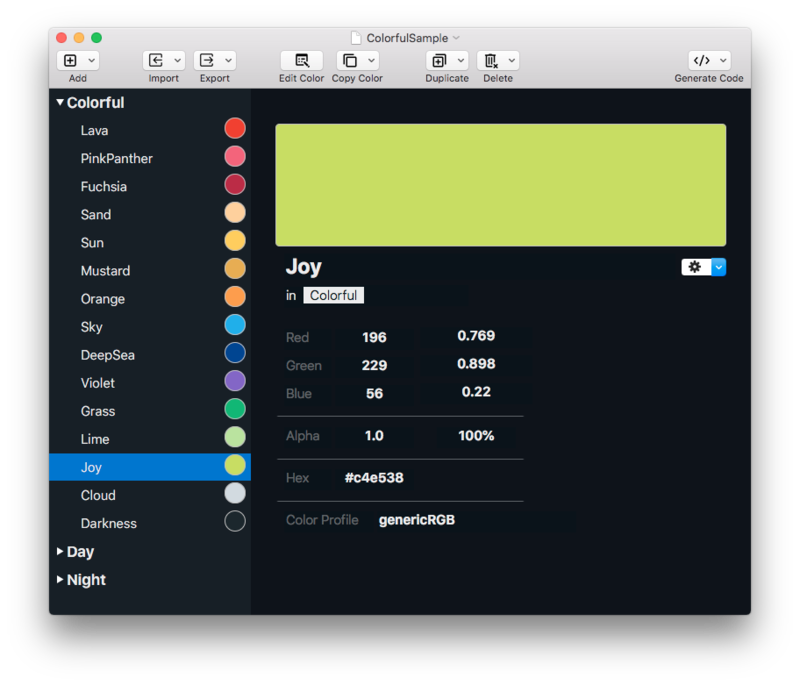 Any color collection in Colors Coder can be exported as a Color Palette file for macOS. And it's going to be system wide available once you open it in the Colors panel through any app. An irreplacable tool for managing colors in your apps at zero effort!